PREMADE ETSY Shop set! Includes Cover photo image, Shop banner, Shop Icon, Sale Icon, and Custom Listing page. All items created professionally with optimal image sizes for best display! All Pieces will be made to include your shop information, which you will need to provide during checkout - no drop shadow will be on the actual files. 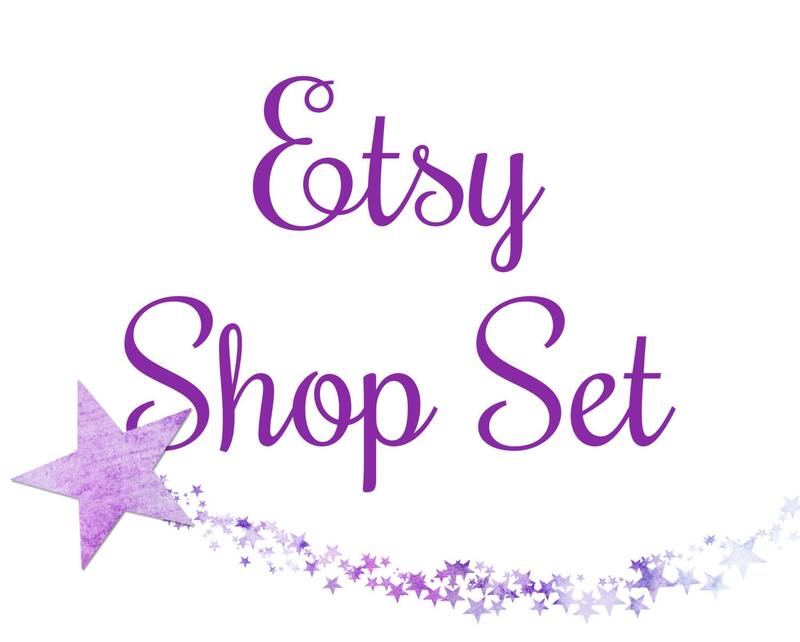 Complete shop set up - With a fun Violet and Lavender Purple Watercolor Stars design! 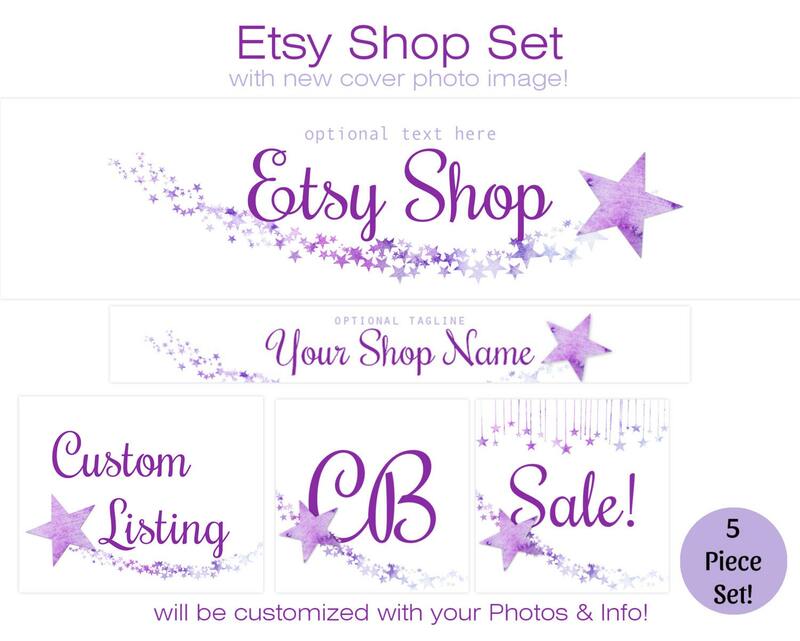 Make sure to include your shop name, Font Chosen, and any tagline in notes to seller at checkout, or just convo me via etsy message system.